When it comes to promoting a business online or marketing it on the internet, websites are the key to achieving this goal. If you want to run a successful and profitable online business, it becomes necessary to focus on making your website visually appealing, innovative and creative that draws customers and encourages them to come back for more. The best way to keep customers hooked on to your site and make more sales is to come to up with a creatively designed website that has all the elements of aesthetics plus traits of a good salesman. It should not only look good and keep the customers looking out for more but also provide all the information and facilitate online purchases. 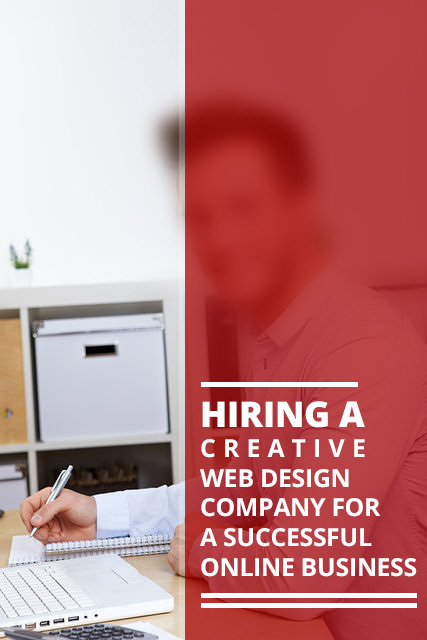 Even though the importance of an artistic and innovative website cannot be denied for a successful online business, yet the significance of a hiring a creative web design company should not be ignored at any cost. It is because designing a website is no easy job and requires a lot of time along with expertise and lots of patience to get the right outcome and only someone who understands the web design market and the needs of online business can do a good job. Businesses these days understand the need of having a resourceful and imaginative websites that attract customers and keep the sales going. 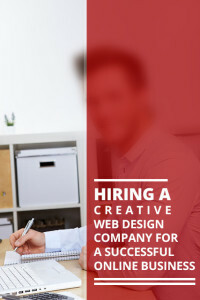 Thus, it increases the need of hiring the most skilled and experienced of web design companies that recognize the needs of the online business as well as the customers wants to ensure that customers understand what is being offered and how they can purchase it online. There are a number of web design companies in the market that cater to business needs of their clients and ensure they get a custom and professional website that puts forward their products and services in an appealing and proficient manner. From catchy and informative content to beautiful and eye catching graphics, a website should contain relevant information in such a way that keeps the visitors engaged and returning time and again. From appearance of a website to its content, layout, graphics and ecommerce facilities, there are a lot of important elements that web design and development companies need to focus on when coming up with a website for an online business. The website should be designed in such a way that even someone who does not have sufficient knowledge of the internet or online shopping should be able to navigate easily and find what they are looking for without any trouble. To run a profitable business and ensure a steady flow of customers, the best way is to make use of ideas that are unique and out of the box. People love browsing websites that are creative, appealing and offer them something new to do and explore. The more visitors come to your site and the more time they spend browsing, the higher chances you have of making a good sale. There are many such websites on the internet that offer a large variety of items for sale, yet they are not doing a good business just because they are not able to keep their customers engaged or interested long enough to make a purchase. In order to ensure that your business is thriving, you will have to invest money in the right places, firstly on hiring the right web design company that does an excellent job by coming up with a website that looks good and works good. Customers prefer a simple and comfortable shopping experience and this is one element that only an inventive web designer can understand. It is essential to have a website that allows the clients to shop easily with very few steps and facilitates easy flow of transactions. A creative and skilled web design company fully understands the needs of the customers as well as the merchants and comes up with a solution that enables a business to become popular online and do well.